Canada is fast-becoming a safe-haven for terrorists. Al Qaeda/al Nusra Front and ISIS are openly being welcomed and protected from public scrutiny and juridical consequences, including “Anti-Terror” legislation. 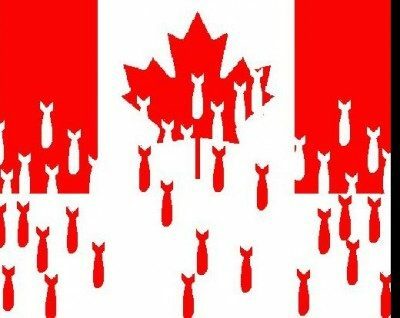 All of this exposes yet again that the “War on Terror” is a fraud, and that the Canadian government and its agencies support all of the terrorists in Syria, including ISIS. This is known BEYOND A REASONABLE DOUBT. Similarly, internet censorship, including algorithms imposed on anti-war sites, and Facebook censorship, are the spawn of pro-wars of aggression policymaking groups such as the Atlantic Council, which is partnered with Facebook. These measures serve to strengthen and protect the “Shadow state” and the policymakers who are governing our lives and determining where our tax dollars flow. And a significant portion of our taxes flow into the pockets of terrorists, beneath the cover of a “feminist” foreign policy. All of this is about destroying democracy – a fait accompli – and advancing anti-democratic political economies here and abroad. Elected politicians, supporters of the above-mentioned agenda, do not represent the views of an informed Canadian population. They represent the views of globalist neo-con policymakers. 1. Stewart Bell,“Exclusive: Canadian member of Islamic State caught, but RCMP struggle to lay charges against ISIS fighters.” Global News. 8 October, 2015. (https://globalnews.ca/news/4526514/canadian-isis-caught-in-turkey/) Accessed 12 October, 2018. And Canada Supports Them.” Global Research. 2 April, 2018. (https://www.globalresearch.ca/the-white-helmets-are-black-helmets-they-are-al-qaeda/5634301) Accessed 12 April, 2018. 2. “Breaking Down Bill C-59: The New National Security Act.” ICLMG video. (https://www.youtube.com/watch?v=Fti5L7_0670). Accessed 12 October, 2018. The Evidence.” Global Research, 29 December, 2015. 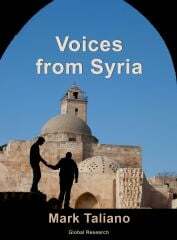 (https://www.globalresearch.ca/the-dirty-war-on-syria-washington-supports-the-islamic-state-isis/5494957) Accessed 12 October, 2018. 4. Elliott Gabriel, “Facebook Partners With Hawkish Atlantic Council, a NATO Lobby Group, to ‘Protect Democracy’.” Mint Press News. 22 May, 2018. (https://www.mintpressnews.com/facebook-partners-hawkish-atlantic-council-nato-lobby-group-protect-democracy/242289/) Accessed 12 October, 2018.